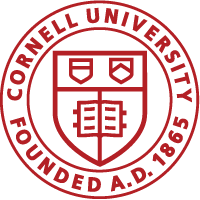 The Cornell Cooperative Extension program helps people improve their lives and communities by putting experience and research knowledge to work. The Cornell Sugar Maple Program is part of Cooperative Extension. For assistance contact your local NY State Cooperative Extension office, or follow the links below to learn more about our research and publications. This spreadsheet template was created by Chuck Winship, maple producer in Livingston County NY, as a practical guide to compare the energy costs of various pieces and combinations of pieces of maple sap processing equipment. To use this spreadsheet you must have the Microsoft Excel program already on your computer. The accuracy resulting from using this program is completely dependent on the information you provide the program. The information contained inside the black boxes is variable with different pieces of equipment, individual setups, production volume and fuel sources. Use the best information available to you to place correct numbers in these boxes for your situation. Keep in mind that this program is only comparing energy costs. Other costs associated with changes in labor, capital investment, quality changes or maintenance cost are not considered here but are an important part of any equipment purchase decision.